Home - Barbara Cadow, Ph.D.
a book by Barbara Cadow, Ph.D. Some people believe that if rock gods, movie stars and producers, professional athletes and heiresses can’t find happiness, then they will never find it. After 30 years of practicing psychology with the people “who have it all” in Los Angeles, I realized that my work with the rich and famous provides a unique opportunity to help the average person discover new paths to happiness. The mansions in Malibu, garages full of cars, closets stuffed with designer clothes, and royalties for a lifetime are not enough to make this privileged group happy. 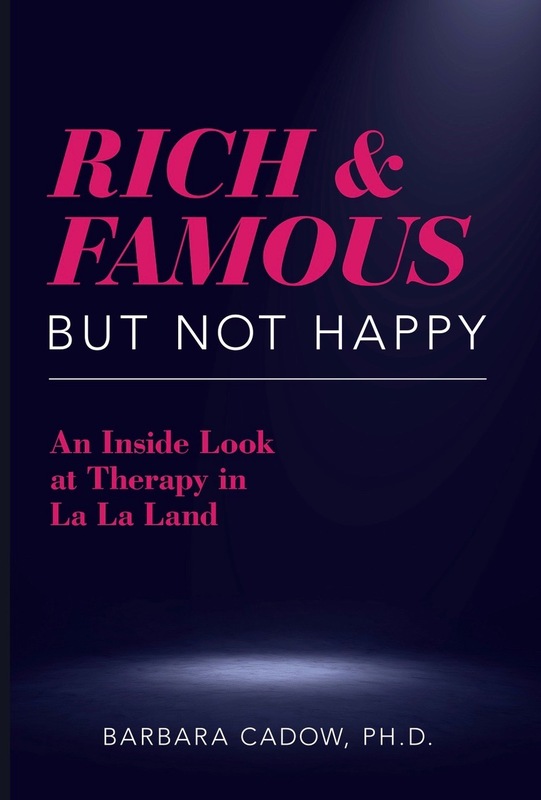 My book, Rich and Famous but Not Happy: An Inside Look at Therapy in La La Land, enlightens the general population about how to cultivate a more rewarding life by sharing some of the real-life dilemmas faced by these celebrities. With personal stories from these therapy sessions and my interaction with clients, Rich and Famous but not Happy illustrates what does make people happy and offers tools to realize true happiness. My work with the rich and famous provides a unique opportunity to help the average person discover new paths to happiness. Most people would rather listen to what a cultural icon has to say rather than a psychologist. For that reason, I offer a glimpse into celebrity life by using actual dialogue from treatment sessions designed to help my famous patients find more fulfillment in their lives. My guidelines on how to achieve happiness come from the newly emerging field of positive psychology, as well as cognitive behavioral therapy, evolutionary psychology and contemporary psychoanalytic theory in addition to the observations of my very affluent patients. They are easily applied to the general public. In short, this book is a “how-to” manual on happiness using plain language and enticing examples from well-known personalities. Of course, names are not disclosed and details are changed to protect my clients’ privacy. The projected audience for this book includes people who cannot get enough of reality television, magazines filled with celebrities, and Internet gossip sites. The majority likely will be women of all ages. It also will appeal to the scores of people who fantasize that money and fame will make them happy. In addition, if people seeking a happier existence pick up this book in the self-help section of the bookstore or the Internet, the title could pique their interest and make them feel less alone in their discontented state. The following video clip is from a presentation of my work to several groups of psychology professionals. An actor plays the role of my patient. Rich and Famous -- "Jim" from Barbara Cadow, Ph.D. on Vimeo. Privacy and the assurance of confidentiality are essential and necessary for effective psychotherapy. When you know that anything said to your psychologist in session will remain confidential, you will likely feel more comfortable discussing difficult topics and will be better able to utilize your time in treatment. My own research on confidentiality concluded that people do volunteer more information in a setting with complete privacy. Further, privacy gives you the opportunity to try out the psychotherapy process without risk; no one will ever know that you were in treatment or how much progress was made. There are many benefits from privacy in psychotherapy. Patients often seek treatment to deal with job situations which they do not feel comfortable discussing with friends or family. Some people want a place to discuss a “bad” relationship that they keep secret because they know others will disapprove. Others wish to get an objective opinion about their substance use, “quirky” behavior, or sexual practices in order to determine if there is a serious problem. The process of letting go of long ago events with which people are still struggling can be achieved without anyone else finding out about the past. You can feel comfortable saying things you have never said before without fear of judgment or criticism in the safety of the therapist’s office. If you have difficulty feeling safe, it is my job to help you get to that level of comfort. My office has separate exits and entrances to maximize privacy. I am familiar with the demands on public figures; considerations are made in order to keep knowledge of their visits out of the public eye. There are a few legal exceptions to therapist/patient confidentiality. Psychologists are legally bound to notify the authorities when a patient reports a detailed plan to hurt another person, or to abuse a child or elderly person. The privilege of confidentiality no longer applies when a patient chooses to use a psychologist’s report and/or testimony in a legal proceeding. I will be happy to answer any other questions you may have about confidentiality and how it may relate to your individual circumstances. 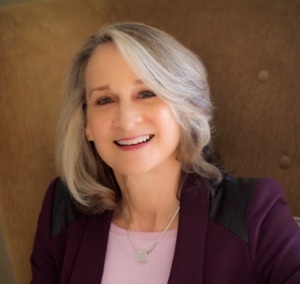 © 2019 Barbara Cadow, Ph.D.